Professor Tuerkheimer graduated from the New York University Law School in 1963 and then clerked for the Honorable Edward Weinfeld, United States District Judge for the Southern District of New York. 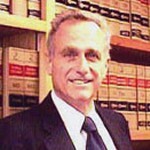 He has been on the Wisconsin law faculty since 1970 and has also been of counsel with LaFoillette Godfrey and Kahn, a Wisconsin Law firm, since 1985. Professor Tuerkheimer has extensive experience in criminal law, having been a federal prosecutor for over ten years as an Assistant U.S. Attorney in the Southern District of New York, as an Associate Watergerate Prosecutor and as United States Attorney for the Western District of Wisconsin. He has also represented indigent defendants in federal criminal cases and is presently representing an inmate on Alabama's death row.